HostForLIFE’s servers are optimized for web applications such as Pulse CMS. The performance and the uptime of the hosting service are excellent and the features of the web hosting plan are even greater than what many hosting providers ask you to pay for. What is European Pulse CMS Hosting? 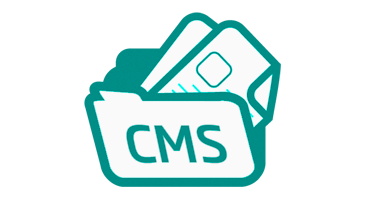 Pulse CMS is simple software designed for small websites that enables a web developer to add web content management system capabilities to an existing site "easily and quickly". Define the "blocks" on the website that are to be editable and Pulse CMS provides an easy to use backend to make edits right from your browser.Save time, make more money. Not just a cliche. You can finish your web project quicker with Pulse and won't need to worry too much about client training. Built with security features in mind, rest assured from attacks and constant updating requests and sleep well. Fully SSL compatible too for extra peace of mind. Why Choose HostForLIFE.eu for Pulse CMS Hosting? Try our Free Pulse CMS Hosting today and your account will be setup soon! You can also take advantage of our Windows & ASP.NET Hosting support with Unlimited Domain, Unlimited Bandwidth, Unlimited Disk Space, etc. You will not be charged a cent for trying our service for the next 3 days. Once your trial period is complete, you decide whether you'd like to continue.